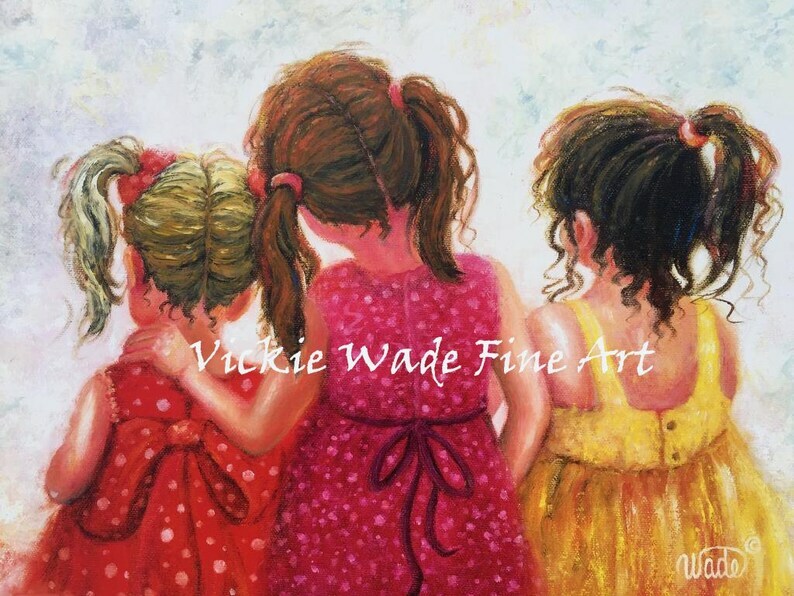 "Three Little Sweet Pea Sisters" is a large fine art print of mine. ***If you buy any 2 large prints you can choose a 3rd 11X14 on 12X18 print for FREE. Just let me know in message to seller at check out which free one you'd like...please don't purchase 3rd print or place in cart or it won't be free!